jazztruth: Joe Locke: " Practice!" depth of musical knowledge is really staggering. My personal favorite albums of Locke's include Live In Seattle (featuring Geoffrey Keezer and Terreon Gully, who will be on the Asper concert) and Moment to Moment, which features the music of Henry Mancini. But he has many more-at least 20 CDs as a leader. Locke is highly capable in any situation, whether it be fusion, ballads, straight-ahead bebop, latin, or movie themes. Locke can do it all. He is highly respected by his peers. Do not miss the opportunity to see his band when they come to Winnipeg! 2) Who were your influences in Rochester, and what made you want to move to New York? Rochester, NY was a good place to grow up in the '70's if you were an aspiring musician. I had the benefit of being close to the Eastman School of Music and got the chance to study with some brilliant students and faculty alike. Pianists Phil Markowitz and Bill Dobbins were very helpful to me at that time. There was also a vibrant jazz culture in the Rochester community. 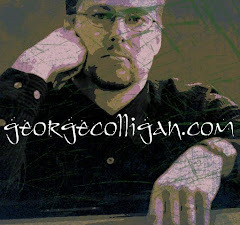 I played quite a bit in jazz clubs with drummer Vinnie Ruggerio (who had played in NYC with John Coltrane and Bud Powell, among many others) and bassist Steve Davis (who had been a member of Coltrane's first quartet), learning quite a bit in the process. After playing around Rochester and touring with the Spider Martin Quintet (in formations which at various times included jazz greats Dizzy Gillespie, Pepper Adams, Mongo Santamaria and Billy Hart) I moved to NYC at the age of 21. I needed to be in a city where I would be constantly challenged and forced to grow. For me, that city was New York. 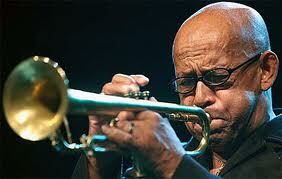 3) What have been your favorite gigs, including Eddie Henderson's Band? There have been so many. Of course my 12 years in Eddie's band was important to me. I have good memories of you and I playing together in that quintet! I also had some wonderful experiences working with Kenny Barron, George Cables, Walter Davis, Jr., Bob Moses, Cecil Taylor and John Hicks in their groups. I'm happy to say that some of my favorite gigs have been in recent years with different projects of my own. My Four Walls of Freedom quartet with Bob Berg was very special to me. My Force of Four quartet and the chamber trio Storms / Nocturnes (with Geoffrey Keezer and Tim Garland) continue to inspire and challenge me in the best possible way. 4) Describe the trials and tribulations of being a bandleader in the new millennium. For me, one of the difficult things is synchronizing the schedules of the busy musicians with whom I'm working. That, and making tour dates line up in a logical way. That is always challenging. Considering the current economic climate in the world and the fact that live music seems to have less importance in the current culture, I consider myself very fortunate to be as busy as I am, engaged in creative work with great collaborators. The music business has always been tough. But I think the music itself is in great hands in the new millennium, with wonderful musicians coming along every day who are breaking new ground and giving a lot of beauty to the world. I can't make a blanket statement about what to practice, but what I CAN say to a young musician is, "PRACTICE!!!". If you really want to make music your life, put the work in now. It pays off later. The amount of knowledge you acquire and how much work you put in will serve you well when you try to break into the larger music scene. The way to do that is to, once you feel ready, move to a place with an active music scene and try to put yourself in as many playing situations as possible. 6) How did you pick your current band (which will perform at the Asper Series in Winnipeg)? My latest recording is called "For The Love Of You" and features vocalist Kenny Washington. We will be playing music from the new CD in Winnipeg. I was on vacation in San Francisco a few years ago and heard Kenny sing for the first time. He blew me away! I think he is one of the greatest male vocalists to come along in quite some time. He has a beautiful voice, exquisite taste and a whole lot of soul. I'm excited to introduce him to the Asper Series audience. 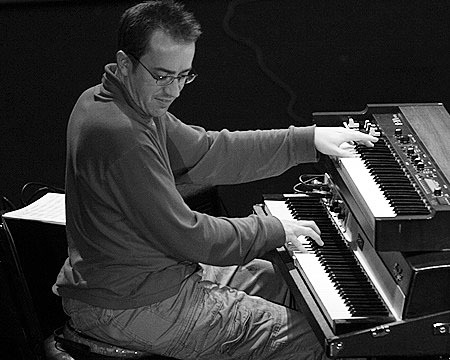 The pianist in the group is Geoffrey Keezer, with whom I've collaborated many times. 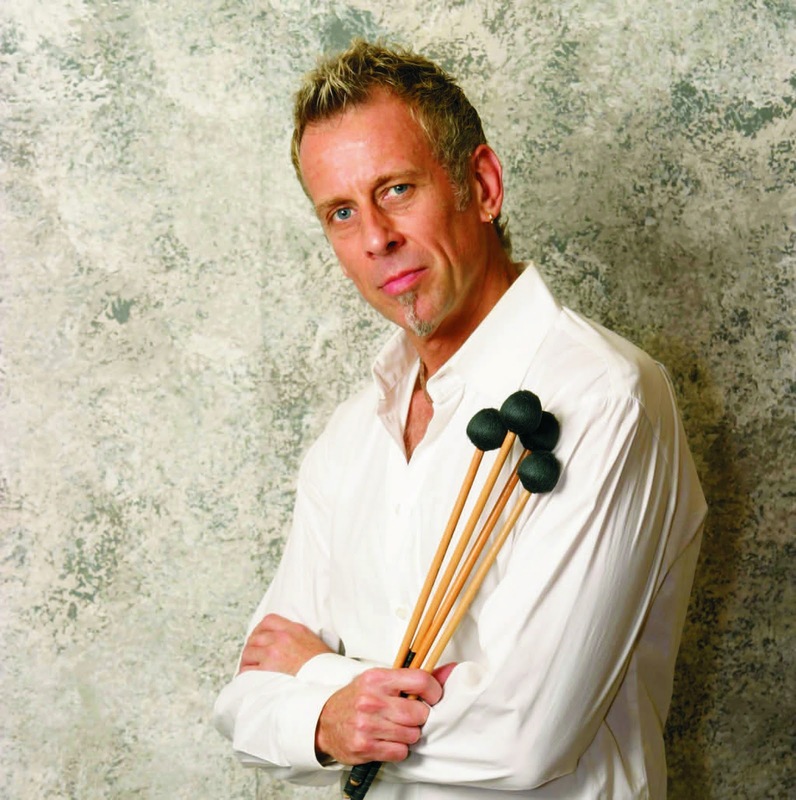 Geoffrey started playing with Art Blakey & The Jazz Messengers when he was 17 years old, and has gone on to do some amazing things in music, as a player, composer and band leader. The drummer will be the fantastic Terreon Gully. And I'm really looking forward to playing with bassist Steve Kirby for the first time. This is going to be a really fun concert! Got to attend a few of Joe's gigs, including one at Dizzy's featuring Mancini's music. Some of the best live jazz I've ever heard! Joe is one of my all-time favorite musicians and people. Not only is he one of the most creative and able musicians in any musical medium, he is also a true gentleman: warm and generous with his depth of knowledge as a musician and as human being. Wonderful to see this unique profile. - Thomas M.
Kenny Washington is the BEST!!! "Whatever You Are Smoking, I Want Some!"